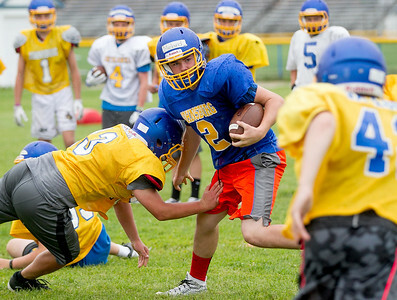 Sarah Nader- snader@shawmedia.com Johnsburg's football players run drills during Thursday's practice at Johnsburg High school July 16, 2015. 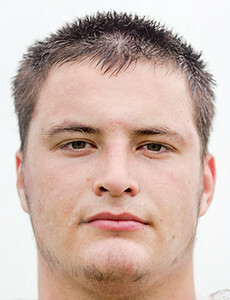 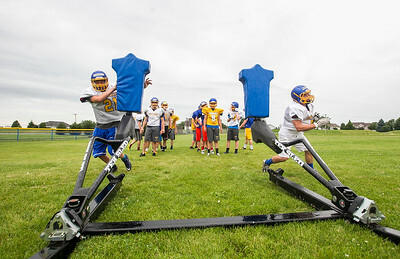 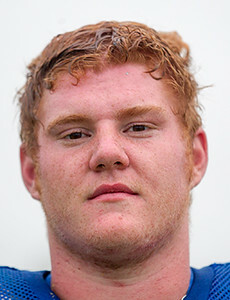 Sarah Nader- snader@shawmedia.com Johnsburg football players run drills during Thursday's practice at Johnsburg High school July 16, 2015. 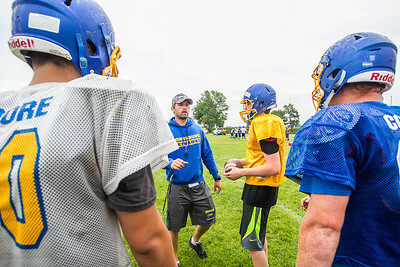 Sarah Nader- snader@shawmedia.com Head football coach Dan DeBoeuf talks with players during Thursday's practice at Johnsburg High school July 16, 2015. 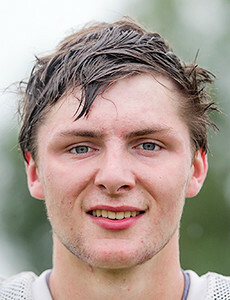 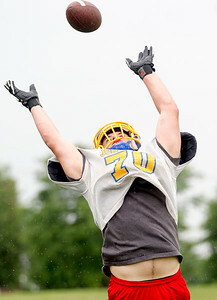 Sarah Nader- snader@shawmedia.com Johnsburg's Joe Moore catches a ball during Thursday's practice at Johnsburg High school July 16, 2015. 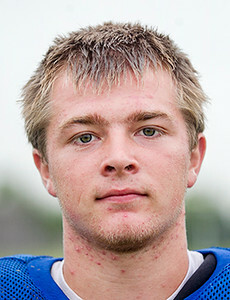 Sarah Nader- snader@shawmedia.com Johnsburg's Casey Meland runs the ball during Thursday's practice at Johnsburg High school July 16, 2015. 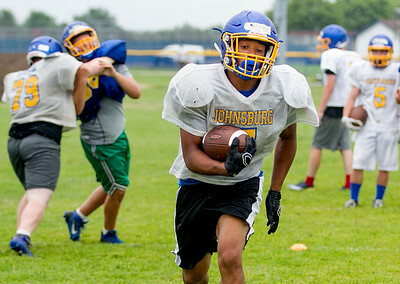 Sarah Nader- snader@shawmedia.com Johnsburg's Alex Peete runs the ball during Thursday's practice at Johnsburg High school July 16, 2015.